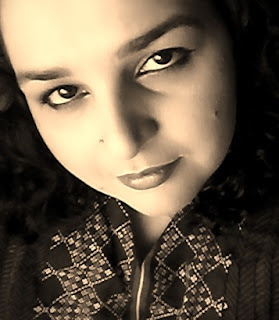 Recently I discovered Jo's Organic Beauty, tried Chocolate Face Scrub and Candy Foot Softener, must say I am impressed! Read More to Reveal More! 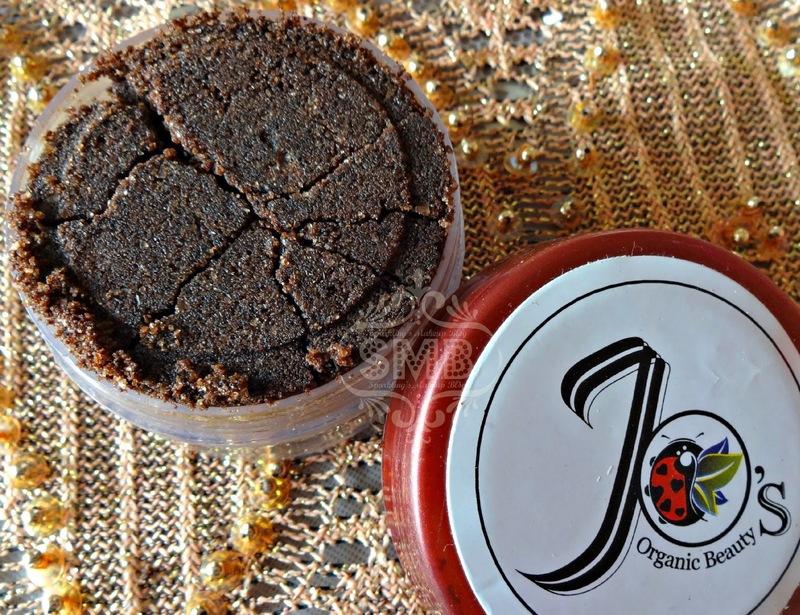 JO’s Organic Chocolate face scrub has a base of finest Belgium chocolate, which is a great mood booster. By the recent research, it is proven that its scent and properties elevate levels of serotonin – a natural antidepressant. It produces endorphin in the brain that create feelings of happiness which help reduce stress. Even the smell of chocolate can have a calming effect. Try a complete body & mind experience. We all love chocolate and when it comes to Belgian chocolate how can we say NO! even if its a skin care product. 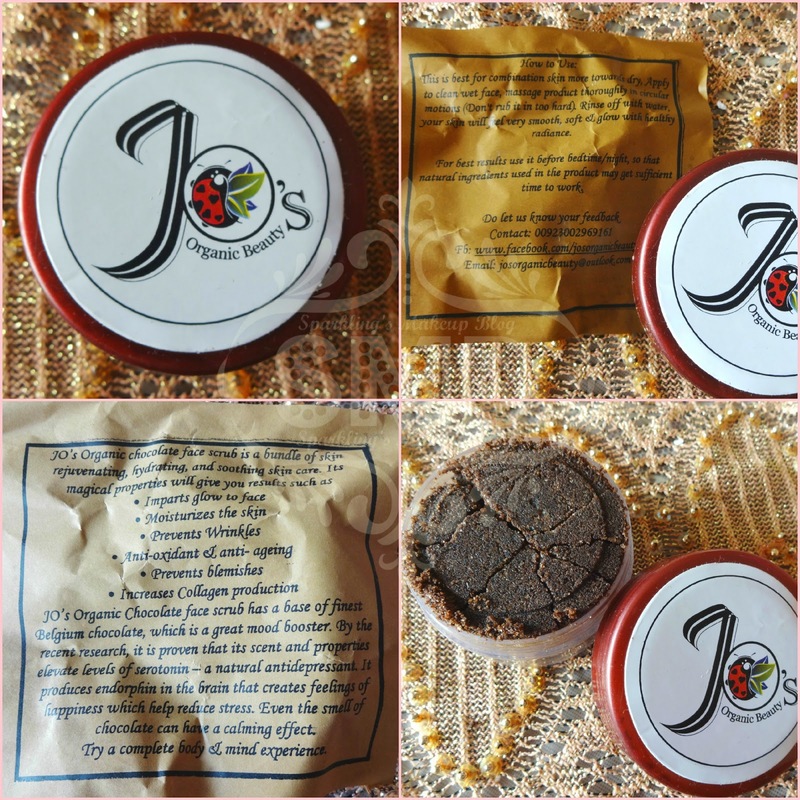 I got to try Jo's Organic Beauty's Chocolate Face Scrub. The packaging is safe but simple, well its ok as its a home made brand and the emphasis is more on the product than packaging. The product is tightly pressed in the pot, I thought it must be very hard, but I was wrong on touch the powder came out easily. It is granuled with sugar particles and finally milled chocolate and rest of the ingredients. Follow the instructions on the guide. My first attempt was too mess as I tried to make a paste of it on my palm, it spill over the sink every where. Next attempt, I applied the powder directly on my wet face and voila! it went well. My face went all brown and I smell like a chocolate, Belgian Chocolate... yumm. I found the chocolate fragrance to be a bit overwhelming, which I don't find bothering (being a die-hard chocoholic) but if you are not into chocolates that much then it may bother you. Don't worry much the fragrance goes away after the wash. During scrubbing I felt Sugar granules doing their work, I was worried for my sensitive skin, but I am glad that my skin didn't even get red, so its safe for sensitive skin. After massaging for 3-5 minutes on my face in round motion, with very gentle hands, I washed it off. My skin felt very soft, supple and a bit brightened and allot moisturised. Yes I could feel a layer of moisture on my face which I like, as I have very bad dry skin esp on my cheeks. The skin was well ex foliated and felt so neat. I used it at night time, so I slept after applying only a little amount of my night cream. I woke up to a beautiful soft skin. 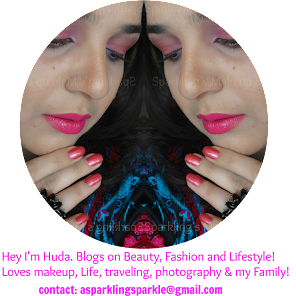 I loved it, my experience went so well with this that its a keeper for me. Still I am a bit sceptical for the sugar granules in it so I would be using it only once or twice a week, not daily. But its a gem for Dry skin in Winters. 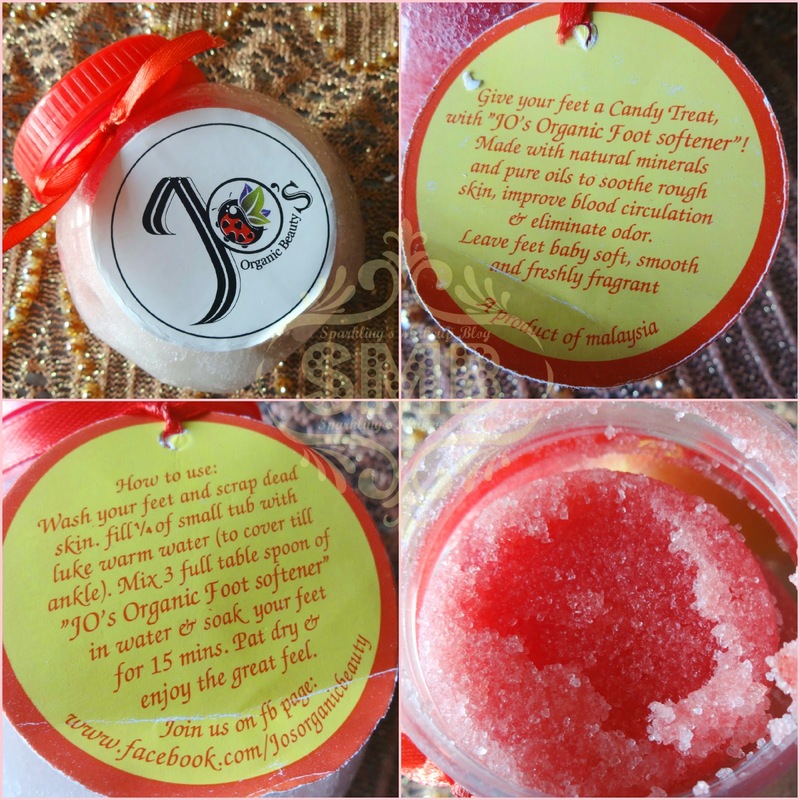 This can be purchased from Jo's Organic Beauty facebook page online for PKR 500/-. Get you're feet ready to show off in summers, Just with 2 easy steps: Clean & Soak feet with Candy Foot Softener for baby soft, smooth and freshly fragrant feet. Made with natural minerals and pure oils to soothe rough skin, improve blood circulation & eliminate odour. Best Home Pedicure in 15 minutes. After reading so many good reviews I was really intrigued to try this one out. This is a Candy fragrant foot softener, good for summer sweaty feet, but no less for winter ridden feet, as I wear socks 24/7. As the instruction says, I cleaned and scrubbed my feet first then soaked them in the warm water mixed with the foot softener, while sitting in the Winter Sun (Perfect Combo!) After drying I could see my feet soft and glowing with all those essential oils, and fragrant too. I personally loved that tinkly minty feel. I observed the harsh skin on my heels being prominent so I scrubbed again, applied my foot cream and wore the socks again :) I am happy for this too, I was not expecting too much as its just a foot softener with that extra bonus of providing good fragrance to one's feet. A must have product for my pedicures at home now. 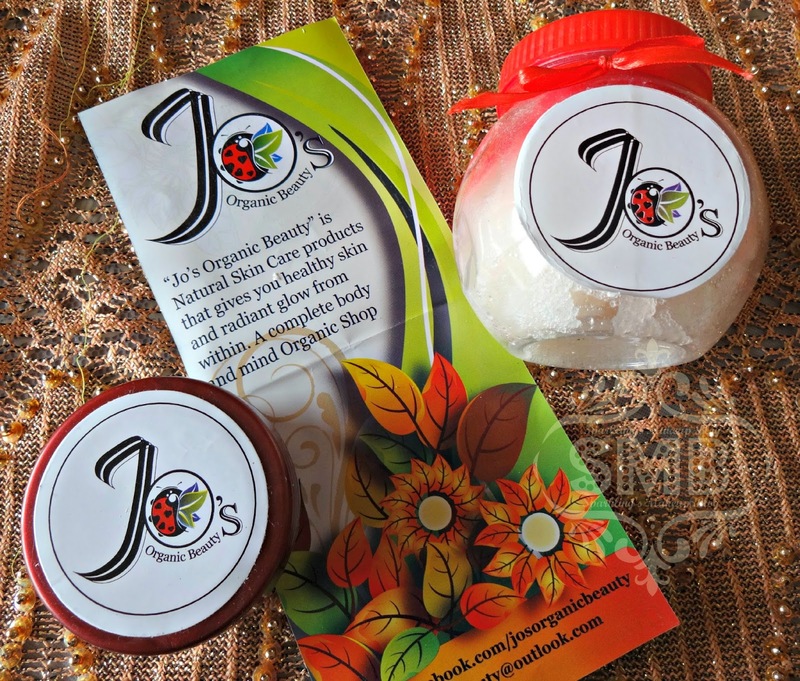 This can be purchased from Jo's Organic Beauty facebook page online for PKR 550/-. 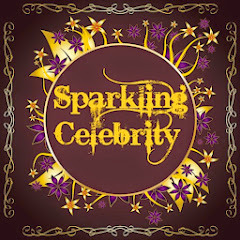 For further details check their facebook page, Jo's Organic Beauty. I must say this brand has impressed me, as recently I tried many brands claiming being organic and that their products work wonders, this one truly does what it claims. Follow #SMB on Instagram, Facebook and Twitter. Sounds good and like that its chocolate, but I have a thing about feet so I wouldn't use this. I cannot resist chocolate flavored products!!! these sound great and i bet they smell awesome as well! 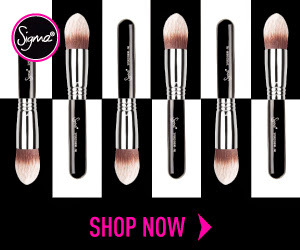 These products sounds so amazing! I love chocolate so I would love to try this product not to mention I really love exfoliating, that is the one part of my skin care routine that I never leave out. The chocolate scrub is a big no for me as i have an extremely oily and acne prone skin though i would love to try the foot softner. The candy foot softener instantly catch my attention. I need it. Like, right now! Cannot go wrong with chocolate! sounds great!